Comment: Seal siding and paint exterior home. Comment: I would like to get an estimate for paint the outside of house. Comment: Strip, clean and stain covered deck. Also stain a treated pine railing that has never been stained before. Comment: I had wallpaper on all of the walls of my house and I need to have my walls texturized prior to painting. I will also need one of the walls repaired or replaced. Wichita Painting Contractors are rated 4.83 out of 5 based on 401 reviews of 34 pros. 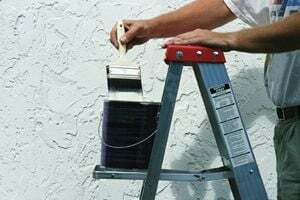 Not Looking for Painting Contractors in Wichita, KS?